As always, more new products and a video! Welcome back to another riveting installment of "show me the new stuff y'all got this week". We do indeed have new products for you, so check them out! 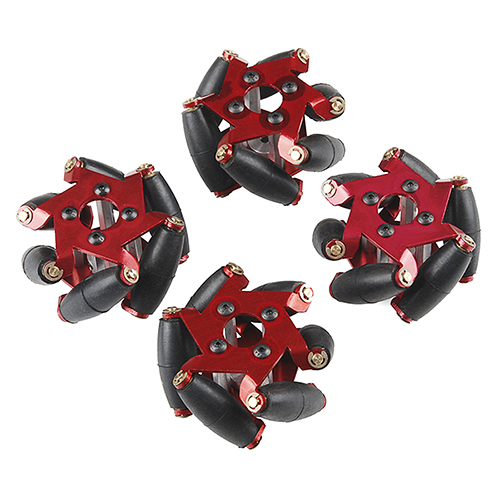 We will be working on a proper demo of the new mecanum wheels in the upcoming weeks. The last time we got these in, we didn't have enough time to do a proper demo, so give us some time to get them working properly and we'll even have an accompanying tutorial. Watch for that in the next few weeks. Now let's check out the products for this week. This week we have a new version of the mecanum wheels. Instead of a plastic hub, the new ones are metal and have significantly less friction on the rollers. As I said above, we will be working on a more in-depth tutorial in the upcoming weeks. If you can't wait, click here to learn more about the wheels. We also have some new serial 7-segment displays. These use the 'tall' displays and can be easily communicated with over serial. 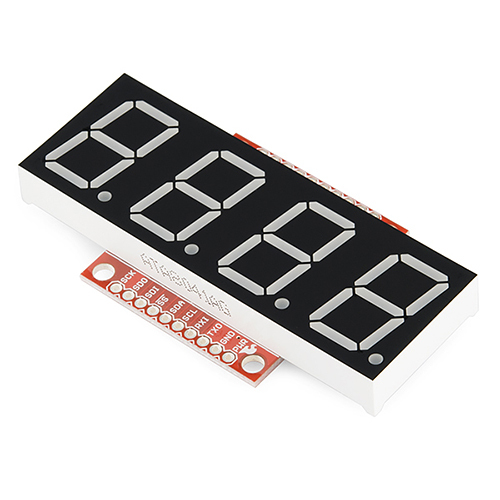 You can also use them as a simple counter (counts and displays pulses) for easy score-boards for games without needing an additional microcontroller. Is the cord on your wall-wart not long enough? We have these two extension cables that add 3 or 6 feet. 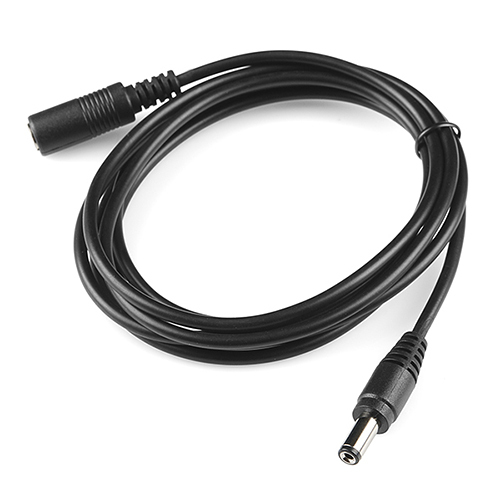 They plug into a standard 5mm barrel jack. They have a male connector on one end and a female on the other. You can even cut them apart and use them as two separate cables if you're so inclined. 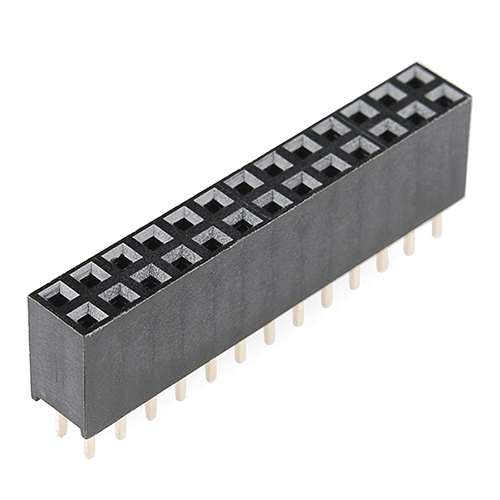 We've had a few people ask for us to carry the 13x2 female header that plugs into a Raspberry Pi. We already used this on the RaspiRobot, so we already had some in stock. We have this h-bridge leftover from a production assembly that we're no longer making. 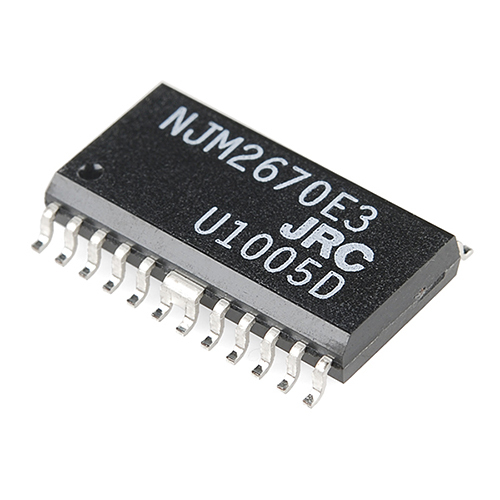 The NJM2670 is a general-purpose 60V dual H-bridge driver. It's basically just a pair of H-bridges, a thermal shut down circuit and its alarm output. That's all we have for this week. Be sure to check back next week! We'll see you then! The video for the 4D screens is very in depth and warrants its own blog post. Check back Monday! Well if it so in depth make sure you explain how to use CTRl-C for copy the pushbuttons so you do not have to repeat the process over and over of making each pushbuttons (meaning making each switch the same size). Part of why I am requesting the CTRL-C thing, has to do with the guy on Youtube went and hand change settings for about 10 switches, demonstrating how hard it is to get every box the same way, then in the middle of his youtube demo switch to CTRL-C coping his switches as he went on. It would have made understand how to do the process a lot more simple if he had show us we could use that window's short cut for the design. It's coming, we've shot it and we're in the process of editing! Don't make me whip out the soulful eyes routine with the drool. I have been waiting for a full week, and you know Dog's don't know how to tell time very well, or type so good. So caugh up the cat, and get that tutorial out here, besides I need to do a walkie or I will use your desk- like the last time. -LV the lab. Bravo. actually enjoyed reading that. Yeas I rember nearly right The patent is from 1976 But Lasp can have some wrong thoots! Thanks to Chin for showing it for me! But I guess this is the very old Patent from the swedish guy Bengt Ilo. Is the patent running out. I can see those those 7-Segment displays are going to be used in SparkFun's Pin Ball project. Hi Rob, Do you know what is used to create the snazzy title animations for Sparkfun Productions? Thanks. i do use After Effects. for the most part i draw everything in Illustrator then bring it all together and animate it in After Effects. I use Cinema 4D on more recent stuff that has yet to go live though. Intros are made by our super-talented in-house motion graphics guy, Nic; I believe he uses Adobe After Effects. Friday Product Post: We're Amped Up!